You can tell that parliament is currently enjoying its summer holiday as the Liberal Democrats have been making the headlines recently. Not for the reasons you might expect, however. It’s nothing to do with the party’s controversial stance on Brexit, nor is it to do with any other policy issue; once again, it’s the question of the party’s leadership. It’s been three years since the party lost all but eight of its MPs along with, arguably, its most successful leader. 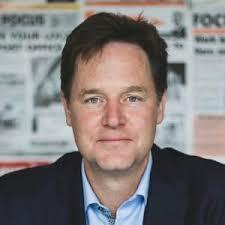 After five years in coalition, Sir Nick Clegg resigned the leadership, feeling that the scale of his party’s defeat was down to decisions he made whilst in the role of Deputy Prime Minister. He was succeeded by Westmorland and Lonsdale MP, Tim Farron, who only lasted two years in the job before stepping down after the 2017 General Election, citing his personal struggle between his evangelical faith and his role as a political leader as the reason for his departure. 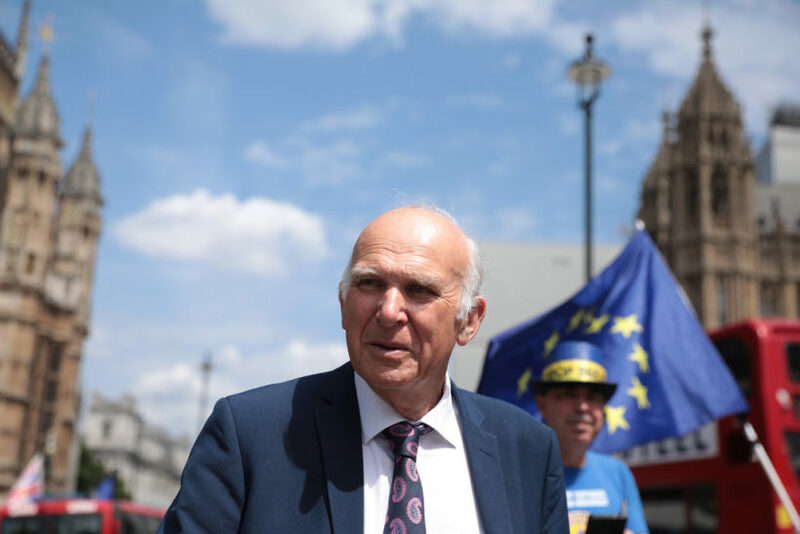 Shortly after, former Business Secretary and political heavyweight Sir Vince Cable took them helm after he went unchallenged in the leadership contest that followed Farron’s resignation. Less than two years on, there’s already talk of the next Lib Dem leader and the rules that would allow for them to be elected. It seems odd to me, that a party that received less than 10% of the vote in the last election and has fewer MPs than the SNP, should be struggling so much with the issue of their leadership. 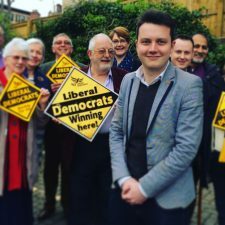 Admittedly, the Liberal Democrats are still trying to find their route back to the levels of success that they once enjoyed, so an element of trial and error is expected. However, the latest proposals being suggested by those at the top of the party seem utterly counter-intuitive and frankly, ridiculous. The rumour-mill surrounding the Lib Dems (yes, it’s hard to believe there even is one) has been going into overdrive over the last few weeks, with stories surrounding the formation of a new centrist party and Cable’s resignation making stories in papers from across the political spectrum. But a story recently covered by the BBC confirms at least one of these recent rumours: that proposals to change the way the leader of the party is elected are on their way. 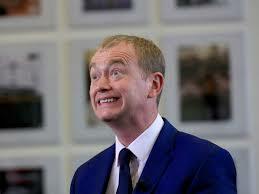 Under the proposed rules, someone who isn’t an MP could lead the Lib Dems, someone like me. Liberal Democrats, so long as they have been a member of the party for a specified length of time. This comes from Cable’s recent work with the masterminds behind the Canadian Liberal Party’s success, who jumped from third/fourth place to form a majority government under a first-past-the-post electoral system. Stating the need to embrace new ideas and appeal to a wider base of supporters, Cable seems quite keen on the idea to allow non-MPs to lead the party that once shared power with the Conservatives. At first I was quite pleasantly surprised by this idea, given that I was unsuccessful in my bid to become an MP last year and could now potentially be given the chance to run for the leadership (not that I would ever seriously consider it). But that sense of optimism soon turned to despair as the ludicrousness of this idea began to dawn on me. I’m totally against this idea. Why? Because it paints the party as one that doesn’t see itself as a serious contender for power. Whilst the Lib Dems may only have 12 MPs and seem a long way from power, if by some miracle they were to win a General Election, under the current leadership rules, the Prime Minister would be an MP, as convention dictates. Now, whilst there is no constitution or rule that demands the Prime Minister also be a Member of Parliament, it stands to reason to question just how a PM could act in their role and not be an MP. How would they take questions from the House of Commons? How would they make statements? How does a party that allows for non-MPs to lead it, come across as one that takes itself seriously enough to challenge Labour or the Conservatives for power? What legitimacy would the party have, given that none of the electorate (other than members of the party) would have ever voted for their leader personally in a General Election? The latter point is one that has been raised on many occasions by the Liberal Democrats themselves. Sir Nick Clegg was knighted in 2017 for services to politics. He resigned as Lib Dem leader in 2015. Credit: iNews. Cries of an “unelected Prime Minister” were loud and clear after the appointment of Gordon Brown and Theresa May. In fact, Sir Nick Clegg called for a General Election both prior to and after May’s appointment, citing that only the Conservatives had chosen the Prime Minister, rather than it being put to a national vote. Hypocrisy much? How would it be right that someone unelected by the nation, could lead the nation? I’ve only had brief conversations about this with Lib Dem members online. The minority who support this idea provide examples of where UK Parties with parliamentary representation are lead by people who aren’t MPs: the Green Party (Johnathan Bartley), UKIP, the SNP and Plaid Cymru. Whilst these are valid examples (although with the exception of UKIP, all have had leaders in the past who were also MPs), the fact remains that all of these parties’ leaders have been/are elected officials, whether that be as an MSP, an AM, an MEP or a local councillor. From what I’ve read, there appears to be no stipulation in the Lib Dem proposals that require the would-be leader to hold any sort of elected office. Not only this, but how can an opposition party be led by someone who cannot/does not take a seat in parliament? Another rebuttal to this is the example of the SNP who have a Westminster leader. Granted this works for the SNP, but they have a greater number of MPs and their national leader is the First Minister of Scotland. It seems totally counter-productive to me, to have a Lib Dem leader and then a Lib Dem Westminster leader, when the party only has 12 MPs. Surely the person appointed as Westminster leader should just be the party’s leader, to avoid unnecessary bureaucracy? They would clearly be deemed fit enough to carry the responsibility of leading the party in parliament, so surely they would be fit enough to lead the party nationally? 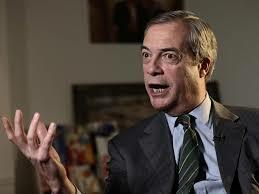 Nigel Farage is an MEP and led UKIP until 2016, when he stood down after the EU Referendum. Credit: The Independent. In my opinion, the party is too small to consider more internal politics (the addition of a deputy leader seemed to far to me). Not only that, but how is it decided what falls under the remit of party leader and Westminster leader? It also strikes me as self-deprecating, that the Lib Dems don’t trust themselves to elect a leader from their cohort of MPs. Do they not deem the likes of Layla Moran, Jo Swinson or Norman Lamb fit enough to lead? Now I admit that the Lib Dems don’t have the pool of talent to choose from like Labour or the Conservatives do, but admitting that they need to widen their horizons to someone who can’t get elected at parliamentary level sounds to me like an admission of defeat and an acceptance they won’t ever have the number of MPs from which to choose the leader they need. If it comes to light that there is in fact some requirement for the leader to be an elected official, then I could be more supportive of this idea. I have no aversion to an MSP, AM or MEP being the leader of the party. But I object to the idea, however unlikely, that a so-called newbie could run for leader with absolutely experience of elected office. Can you imagine someone like me running the party? No. It’s ridiculous. The party needs to try new things. I accept that. But these new things should come in the form of bold new policy ideas and challenging the status quo, not by getting bogged down in internal politics and unnecessary bureaucracy. If it comes to fruition that these proposals get the go ahead by conference-goers whenever they make it that far, I fear my time in the party will come to an end. The party already has two strikes with me: this would certainly be strike three.